This is a logical reasoning quiz for 4th graders online. 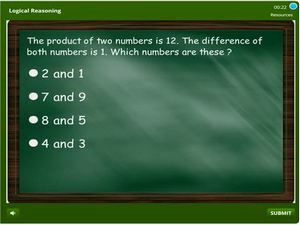 This exercise is based on varied math skills from algebra, addition, subtraction, place value, percentages and more. The questions take the form of word problems which students have to read and reason out the problem and find out the solution in turn. The problems are MCQ’s and there are answers to choose from. 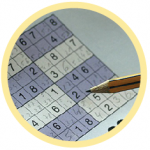 Solve a problem and track your score. Student’s progress can be monitored from our LMS and tutors can intervene in areas of weakness. There are a load of skills involved here and sometimes a question might warrant the application of more than one skill. Begin practicing by following the given link.